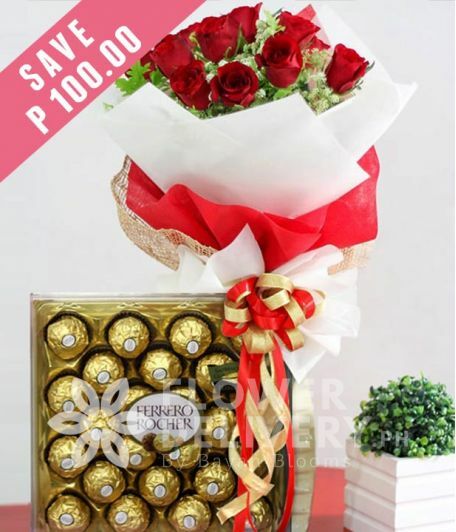 A round bouquet of 1 dozen red roses with 24 pcs. of ferrero chocolates. Note: Accessories and vase are not included.